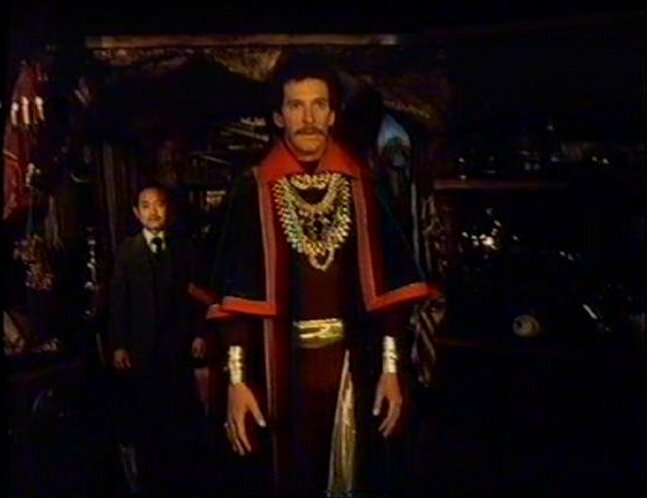 In honor of the big budget Marvel release this past weekend, today I want to take a look at one of the most overlooked Marvel movies of the past: 1978’s Dr. Strange. This television movie incarnation of Dr. 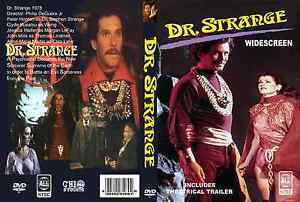 Strange was written, directed, produced, and generally conjured up by Philip DeGuere Jr., who was a career television writer and director who had assorted credits on shows like JAG, NCIS, The Dead Zone, and the 1980s incarnation of The Twilight Zone. The film was shot by Enzo Martinelli, who provided cinematography work on a handful of television shows throughout his career, including Battlestar Galactica, The Six Million Dollar Man, and The Munsters. Dr. Strange was edited by Christopher Nelson, who has had a long career editing acclaimed television shows like Lost, House, Six Feet Under, Mad Men, Hill Street Blues, The Incredible Hulk, Nash Bridges, and Bates Motel, among others. Beyond DeGuere, the other producers for Dr. Strange were Gregory Hoblit, who went on to direct movies like Frequency, Fallen, and Primal Fear, and Alex Beaton, who produced the Doctor Who movie, The Greatest American Hero, and Kung Fu. The music for Dr. Strange was composed by Paul Chihara, who also provided scores for Death Race 2000, The Bad News Bears Go To Japan, The Killing Time, The Morning After, Prince of the City, and the television series China Beach. The cast of Dr. 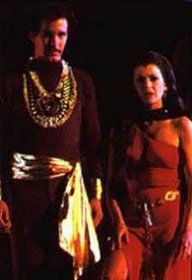 Strange is made up most notably of Peter Hooten (Orca, The Inglorious Bastards) and Jessica Walter (Arrested Development, Archer), with the rest of the cast filled out by television regulars. In 2016, a big budget Marvel film focused on the Doctor Strange character was released. It stars the much-beloved actor, Benedict Cumberbatch, in the role of Hugo Strange, and an accessory cast that boasts the likes of Tilda Swinton and Mads Mikkelson. Dr. Strange was meant to serve as a backdoor pilot for a network TV series, which would have given CBS three live action Marvel properties, including the already running The Incredible Hulk and The Amazing Spider Man. However, CBS ultimately decided against creating a series around Dr. Strange due to low ratings. Morgan Le Fay, the antagonist in Dr. 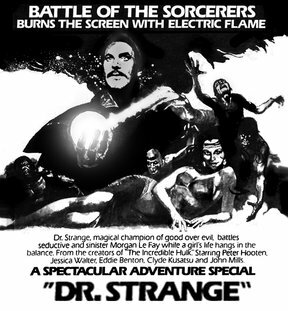 Strange, made her appearance in the Marvel comics universe shortly after the film released, but interestingly wouldn’t encounter the character of Dr. Strange for another 6 years in that medium. The character in the movie known as Thomas Lindmer is a substitute for Dr. Strange‘s mentor in the comic book source material: the Ancient One, who would later be controversially portrayed by Tilda Swinton in the 2016 film. The character of Dr. Strange was created by Steve Ditko, who is best known as the initial artist and co-creator of Spider-Man. Strange first appeared in a Marvel comics series called Strange Tales in July of 1963. Stan Lee, the long time public face of Marvel comics, has stated that he had the most input on Dr. Strange of any of the early Marvel television adaptations. He attributes the popular failure of the movie to its time slot, which put it up against the wildly popular Roots. Currently, Dr. Strange holds a 5.4/10 user rating on IMDb, which reflects its significant lack of popularity and acclaim. However, the new 2016 film is bound to bring more attention to it, and it even just got a DVD release this year after years of being relegated to dusty VHS copies as a result. If you ask me, Dr. Strange plays out like a pretty decent pilot for a television drama, if not much of an actual movie. Most of the story centers on Dr. 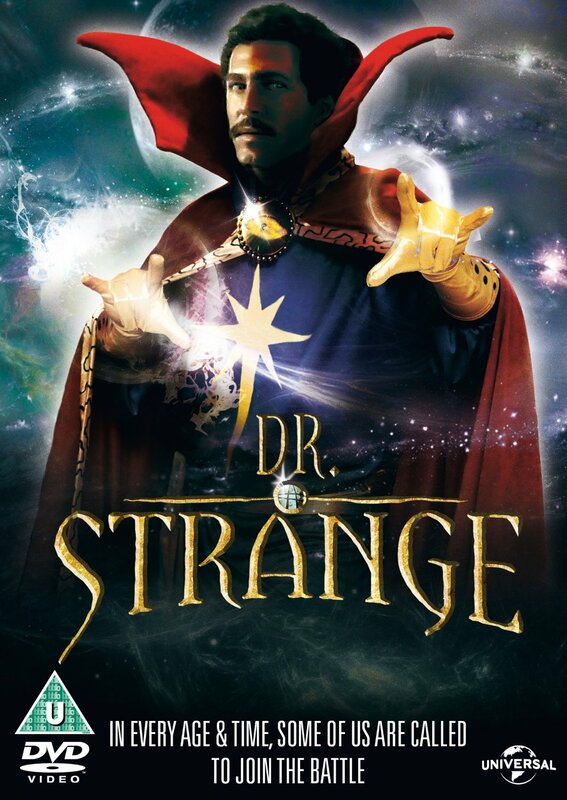 Strange as a Doctor, working in his hospital and dealing with patients. Of course, this ultimately intersects with the supernatural, but the story eases its way to that point, like you would expect a pilot origin story to do. I kind of like the portrayal of the character, and he even has a couple of decently witty lines. The thing that really stood out to me, though, was the score: it is pure 1970s chaos, and is absolutely beautiful in its weirdness. I was reminded of Dracula AD 1972 a bit, which I’m not going to count as a bad thing. The costuming and effects will take you on a trip back in time as well, but the music is really what ties it all together. I don’t think Dr. Strange is nearly as mind-blowing or essential as the 1989 Punisher when it comes to early Marvel adaptations, but it is certainly more watchable than the 1990 Captain America when you consider the context of its time. I kind of wish this had actually gone to series, because I assume the result would have been Garth Merenghi’s DarkPlace with wizards and some rockin’ 70s music. if you are into old television or Marvel comics history, this is totally worth digging up. In the past, this was incredibly hard to come by, but with the new movie out, and an official dvd release of this flick on its tail, this movie is as readily available as it will ever be.